Of the essential pieces of gear you need while traveling, is a well-made, versatile backpack. A backpack can be used for traveling, storage, keeping your essentials close, and above all, making it easier to transport everything you need. You will need a sturdy backpack, one with internal padding to keep your laptop or tablet safe and secure, as well as strong zippers and strong seams to ensure it lasts longer. This list covers the best travel backpacks for men. What Do You Need the Backpack For? 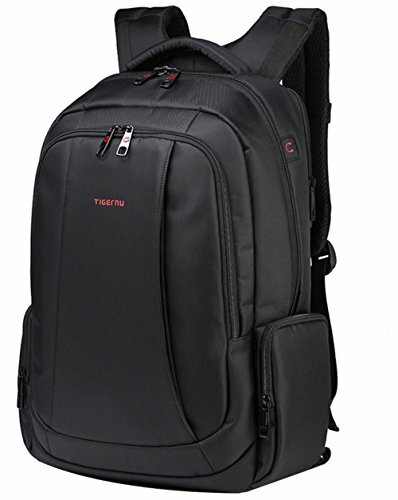 Our top all-purpose backpack is the SwissGear Travel Gear 1900 Scansmart TSA Laptop Backpack. designed as a laptop bag, this pack can easily transform into a pack you can use for hiking or traveling a city. It is very well-made, highly durable, and able to withstand rough conditions, while still keeping your gear safe. The best carry-on backpack is the Slim Business Laptop Backpack from Uoobag. It securely stores your laptop and gear for airplane travel and is easy to transport. The bag can also hold a large amount of gear but is still very comfortable to wear. Great for business trips as well. The best small backpack is the Bago Lightweight Backpack. It is very lightweight and compact, and once folded can be stored almost anywhere, yet is still big enough to hold all of your essential gear. It is a great, versatile pack that can be used for hiking, as a pack to store excess gear if your airplane luggage is overweight, or as a daypack. The best business backpack is the Kopack Laptop Backpack. It is able to store your laptop safely and securely, and it is fitted with a USB charger to ensure your devices are always charged. The pack is also water-resistant, meaning your gear will stay safe and dry even if you get caught in the rain. The best laptop backpack is the Slim Business Laptop Backpack from Uoobag. 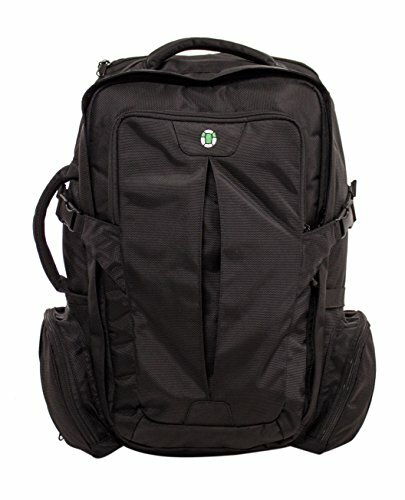 It is a great all-around laptop and business orientated backpack that is brilliant for a businessman on the go. It is extremely well-made and can handle constant use, and the wear and tear of constant traveling. 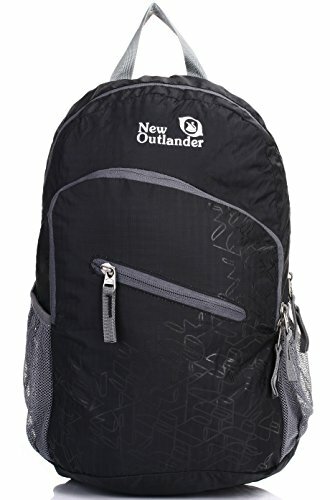 The top backpack for hiking is, without doubt, the Outlander Packable Travel Backpack. It is compact, lightweight, yet durable enough to handle the rough conditions of a hike. It is able to store all of your essential hiking gear or is a great backpack on a hike if you need an extra pack. It folds small and can fit anywhere. 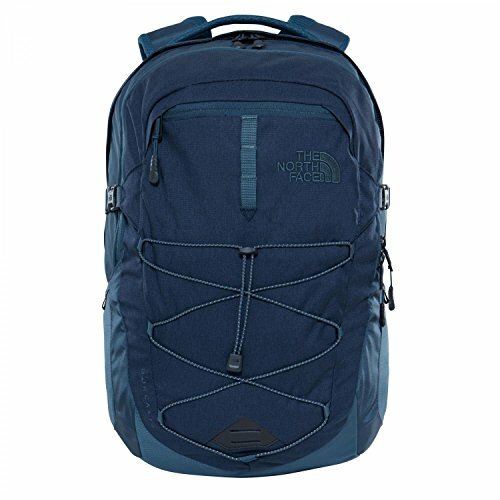 The North Face Borealis Backpack is one of the top bags to come out of the folks at The North Face. the backpack screams quality and is incredibly well-made, strong, and very durable. The classic 28-liter backpack has been updated with an improved suspension system and easy-reach-pockets. It also has a padded, 15-inch laptop pocket to keep your laptop or tablet separate from other gear to protect it. The backpack has a FlexVent suspension system that boasts custom injection molded shoulder straps and a padded mesh back panel, which increases comfort and support, even when carrying a heavy load. The pack also has a secondary compartment for internal organization, with a fleece-lined media pocket. The pack also has an internal secure zippered pocket and a mesh pocket for cord management. There is also bungee cords on the front for external storage. 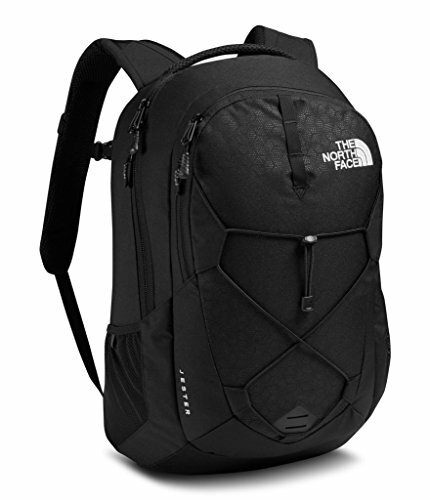 The North Face Jester Backpack is a 26 liter, redesigned pack, that is one of the best at storing and transporting your gear, as well as keeping it safe while in transit. The pack also keeps your gear separated and organized. The pack is made from highly durable and strong weather-resistant nylon fiber. This fiber is made to last and doesn’t rip easily. The pack is incredibly versatile and can be used for traveling, hiking, and as a daypack. This pack comes with FlexVent technology, which is a suspension system that not only offers you huge amounts of support, but the back panel is also ventilated, keeping you cool on hot days. The interior has a padded, dedicated laptop and tablet pocket that will protect any laptop or tablet, 15 inches or smaller. The main compartment has a velcro pocket, zippered pocket, and a pen pocket. There is also a secondary compartment and bungee cords for external storage. The Slim Business Laptop Backpack from Uoobag is one of the best backpacks for the businessman looking to keep his laptop, tablet, and other expensive gear safe during the day and while traveling. This bag is designed to be the ultimate business companion. There is an anti-theft laptop pocket that can fit any 15-inch laptop. It can not fit a thick gaming laptop, but regular width laptops and tablets can fit perfectly. The bag is incredibly functional and you are able to store all of your gear in an organized manner. There is the main laptop compartment, a tablet compartment, the main storage compartment, 2 side zipper bottle pockets, and several smaller pockets for pens and a cellphone. The bag is made from 210D Nylon, which is durable, water repellent, and incredibly easy to clean. The bag has a high-quality polyester lining, making the interior of the bag just as durable and strong as the outside. The SwissGear Travel Gear 1900 Scansmart TSA Laptop Backpack is one of the best travel laptop bags on the market. It is designed to allow you to have easy access to your laptop when getting scanned in at the airport. Perfect for frequent travelers. The bag is made of high-quality polyester, ensuring it is strong and long-lasting. The main feature of the bag is the ScanSmart technology, which protects a 17-inch laptop, opens quickly, and allows you to keep your laptop stored and scanned at the same time. The bag is incredibly spacious, and there is enough room to store all your essentials and more. There is a compartment for both your laptop and tablet, a separate main compartment, front organizational pocket, as well as smaller pockets for pens and water bottles. Even when fully packed, the bag is still incredibly comfortable to wear. The back panel has Airflow technology to keep you cool, the contoured shoulder straps and adjustable side compression straps keep you comfortable. 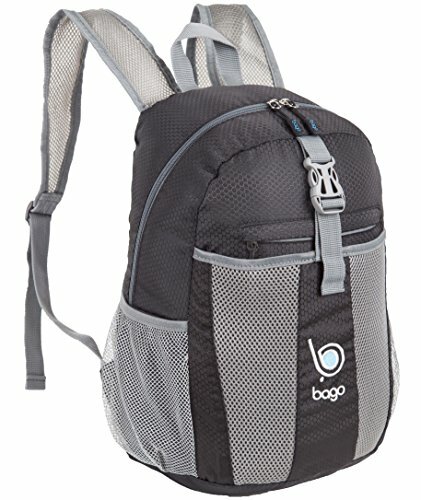 The Bago Lightweight Backpack is a water-resistant and collapsible backpack that is ideal for traveling. You are able to fold it, allowing you to store it in bigger luggage, or take it with you anywhere, in case you need a second backpack on a day out. The bag is water-resistant and very versatile. You can keep your belongings safe from water damage, whether you get caught in the rain, or waterfalls on your bag, your belongings will stay dry. The bag has a large main compartment that you can use to store larger pieces of gear such as cameras. There is a large front mesh pocket for external storage, two water bottle pockets, and smaller pockets for extra storage. The bag folds into a zipper pocket that can fit almost anywhere. This feature is especially handy if you are traveling and you have excess baggage, you can easily unfold this backpack and use it as a carry-on. The Gootium High-Density Thick Canvas Backpack is a highly-durable pack that uses the classic shape of an old-school backpack, but with much stronger and durable materials. This pack is built to last. The pack is made from 100% thick cotton. It is also fitted with highly durable metal fastenings. The stitching is incredibly strong and can withstand the weight of the bag being fully packed. The pack has a very roomy main compartment that can hold a 17-inch laptop or tablet, as well as any other pieces of relatively large gear. There are also many other compartments to store smaller items. The pack is fitted with a large main compartment that can hold a laptop, tablet or clothing. A large front pocket that can be closed with buttons, 1 internal security zippered pocket, and two side pockets with button closures. 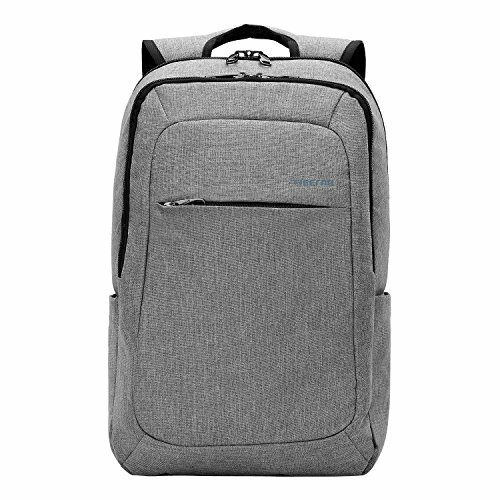 The Kopack Anti-Theft Laptop Backpack is another brilliant backpack designed for businessmen on the go, ensuring they can keep their important gear such as laptops and cameras safe while traveling. The pack is designed with an entirely separate laptop compartment that stores your other essentials and laptop away from each other. The pack is also water-resistant, protecting your gear from rain and spills. The pack does not have many compartments. It does, however, have the separate laptop compartment that we mentioned above, a large packing compartment, a tablet holder, and a front pocket organizer. The pack is also surprisingly lightweight, as it is made from linen. Linen is not the strongest material so be careful with rough use. The bag is extremely streamlined and compact, making it the perfect bag for traveling. 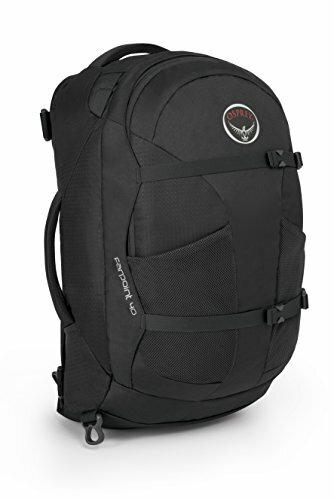 The Osprey Farpoint 55 Travel Backpack is one of the best bags in the Osprey range. Made from the highest quality materials and with superior craftsmanship, makes this bag one of the best on the market. The main pack has a 42-liter capacity, while the daypack has a 13-liter capacity. The daypack uses harnesses and straps to attach and detach itself from the main, larger pack. Allowing you store essential gear in the smaller pack for easy access. The pack is also fitted with sleeping pad straps to allow for quick and easy access to your sleeping gear. The straps are also removable if you want to save on weight. The pack also has an adjustable sternum strap for comfort and ease of use. The pack is fitted with compression straps. These straps tighten to ensure your gear stays secure while you are on the move, they also compress the pack to save on space if the bag is full of clothing or blankets. 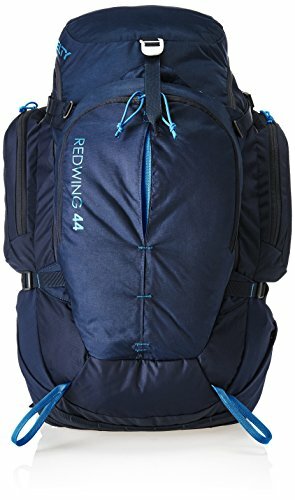 The Kelty Redwing 44 Backpack is a rugged pack made from strong and durable polyester that is designed to be longlasting and to handle any tough adventure. The pack is highly versatile and perfect for everything from hiking, to airplane carry-on. The pack has versatile storage as well, with the U-shape zipper allowing it to be used as a top-loader and as a panel-loader, depending on whether or not you have the compression straps clipped or not. Great ease of access while on the go. You can organize your pack easily with zippered side pockets, a zippered stash pocket, a large front pocket, and a large top pocket. The pack can also fit a hydration bladder so you can stay hydrated, as well as side water bottle pockets. The pack is designed with comfort friendly suspension with the weight of the pack being kept off your shoulders. The pack also has a dynamic Airflow back panel to keep your back cool. Finally, the load and hip stabilizers keep the weight balanced to prevent you from falling over. The Tortuga Travel Backpack is one of the best carry-on backpacks on our list. The bag has the maximum dimensions for a carry-on, allowing you to take even more with you without having to check a bag in. The pack also keeps your gear incredibly organized, and easy to reach, as it is a front loading pack, like a suitcase. Top loading backpacks make it difficult to get to something at the bottom of the pack, you won’t have those problems with the Tortuga. Considering this pack is quite large, and you can pack it with a lot of clothing and gear, you may think your shoulders will take the brunt of the weight. The pack has a hip belt that transfers 80% of the pack weight off your shoulders, ensuring it stays comfortable when you carry it. The pack itself has a laptop sleeve that can hold a laptop 17 inches and smaller. The pack also has exterior and interior pockets. All the interior pockets have lockable zippers. The air mesh back panel keeps you cool while carrying the bag. 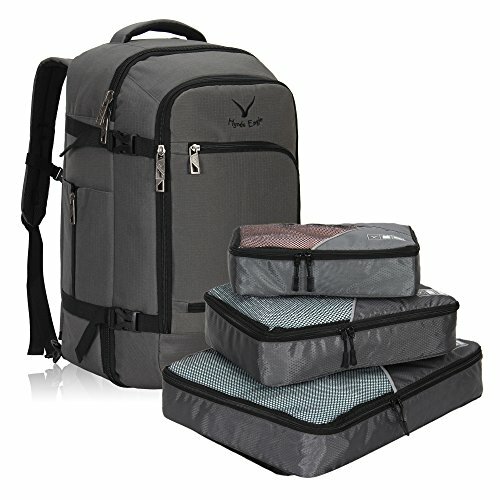 The Hynes Eagle Travel Backpack is a multipurpose backpack that can be used as a backpack, or as a carry-on, using packing cubes that can easily fit into the pack and keep your clothing and gear organized. The pack has two hideaway contoured straps that make carrying the bag, even when fully loaded, easy and comfortable. The pack also has an air mesh back panel that keeps your back cool when carrying the bag. The backpack is made with 4 compression straps. These compression straps prevent the fully packed bag from stretching and possibly putting too much tension on the zips. The straps also ensure your gear stays in place if the bag isn’t fully packed. The pack comes with a padded laptop compartment that will keep your laptop or tablet safe and secure while in transit. There are also multiple pockets to store boarding passes, passports, or smaller pieces of gear. Keep them on hand at all times. 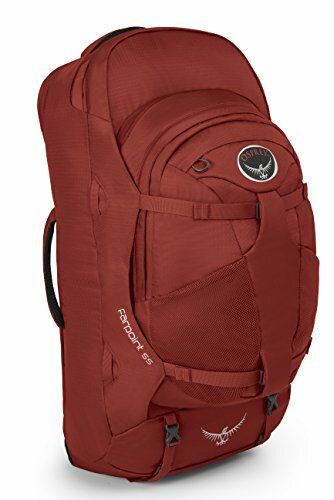 The Osprey Farpoint 40 Travel Backpack is the ultimate in weekend away packs. The pack is made from strong and sturdy nylon that can handle rough adventures like backpacking and hiking. The 40-liter pack is big enough to store all the essential gear you will need for a weekend away or for a night away for business. The bag meets the dimensions for carry-on as well, great for frequent travelers. The pack has a stowaway back panel that can store the straps, clips and harnesses away with ease, allowing for a smaller and more compact profile. The LightWire suspension system moves the weight of the pack from the shoulder straps to hip belt. The pack is made with compression straps that compress your gear to make the pack more compact and easier to store. It also ensures that if the pack is not fully packed, your gear will stay securely in place. The ibagbar Canvas Backpack is a high-density cotton and leather backpack that can also be used as a duffel, a handbag, a suitcase and a briefcase. Perfect for a weekend away hiking, or an overnight business trip. The bag has one main zip compartment, 2 front zip pockets, 1 side mesh pocket, and one laptop compartment. There is enough room to store everything you will need for a weekend away or a business trip securely. The pack is multi-purpose and can be used as a duffel or handbag while traveling. Two hidden straps can be taken out to turn the bag into a backpack, and a detachable strap can turn the bag into a crossbody carry-on. 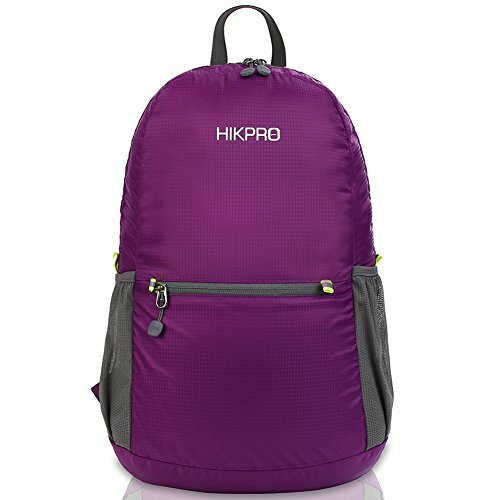 The Hikpro 20 liter is a great lightweight daypack that is perfect for a day in the city, a day hike, or for storage of your essentials when traveling. You can also fold it up for quick storage. The bag is made from highly durable water and tear resistant nylon. The zipper is made of abrasion resistant SBS metal. The pack is also reinforced in 14 different places with the Bartack process. The back may only have a 20-liter capacity and folds into a pack the size of a sandwich bag, allowing you to store it in an overnight bag or with you when you travel. But once unfolded, it can store many pieces of gear and is perfect for packing gear to prevent being overweight when checking in at the airport. The bag has wide breathable mesh shoulder pads for comfort. The pack keeps your gear organized with 3 zippered compartments. The front compartment is great for getting to things in a hurry, while there is a smaller pouch on the inside to keep valuables. The Zomake Ultra Lightweight Packable Backpack is a simple, light and compact backpack that is perfect for a day out or a hike. It can carry all the essentials you may need, without weighing you down. The bag is incredibly versatile and can be used for many different occasions and activities. The bag is made from high-quality water and tear resistant nylon. The zipper is made of abrasion resistant SBS metal and has been reinforced in 31 different places using the Bartack process. The pack is incredibly lightweight and folds into a pouch the size of a sandwich bag. This makes it perfect for traveling and can be stored away in airplane luggage, or used as a carry on if your luggage is overweight. The Outlander Packable Travel Backpack is one of the most highly rated packs on our list, and it isn’t difficult to see why. The pack is made from the strong rip and water-resistant nylon, making it incredibly durable. The stress points of the bag are reinforced, adding to the durability. While the zippers are made from two-way abrasion resistant SBS metal. All of these features add to the incredible longevity of this pack. The pack is very compact and folds into a small inner pocket to allow you to pack it into any piece of luggage, or simply into your pocket. Great to take anywhere in case you need a pack on-the-go. The pack has multiple compartments. 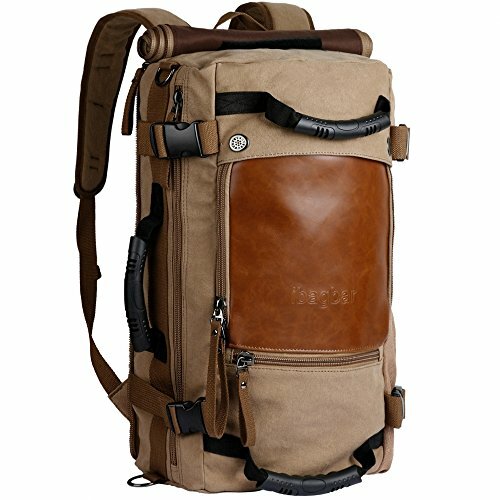 It has a roomy main compartment to carry larger pieces of gear such as a laptop or a camera, two front zipper pockets that can hold accessories, and internal security pocket, and two side pockets for water bottles. There are quite a few things you need to take into consideration when buying a travel backpack. Whether you are a backpacker, a businessman who spends most of their time at the airport, or a student needs a solid backpack for school, you will have particular wants and needs. Budget is most probably one of the most important factors you will take into consideration when buying a backpack. You need to use the rest of our buyers guide to see which aspects are the most important to you, and then decide how much you are willing to pay for those aspects. You need to be willing to spend extra money if the bag is water-resistant or tear proof. These features make the price go up, but they are clearly things that will improve the versatility and the durability of the bag. Durability is essential if you are buying a product that you are planning to use every day, or near to it. 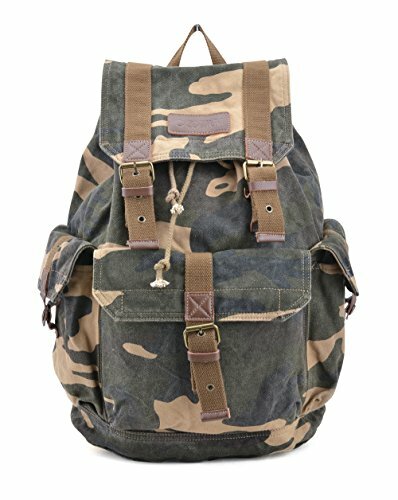 You want your backpack to last as long as you need it to, or at least long enough to justify its price. Durability is increased through the materials that are used to build the bag, the hardware for the fittings, as well as the material used on the inside of the bag, such as padding for a laptop or a tablet. Another aspect of durability are the seams, especially around pressure points such as on the straps. High-quality seam stitching can be the difference between the bag ripping the moment you pick it up, and them being able to handle the weight of your pack and use. How versatile the bag needs to be, will depend on what you need it to do. If you need the bag to be a carry-on, as well as a hiking bag, you will have a list of criteria the bag needs to meet. The same applies if you just need it to carry your laptop or as a gym bag. Versatility will also come from how many pockets the bag has, how protected the pockets are, and how big the pack itself actually is. The size of the pack will play a big part in how versatile it is, as storage capacity becomes important if you are camping or traveling. The weight of the bag also plays a part in its versatility. If you are traveling on an airplane or hiking, you will want a lighter pack to keep the overall weight down. On the other hand, if there are no weight restrictions, you have many more options. There are many backpacks that come with great extras, such as being packable, being waterproof or water-resistant, or even fitted with anti-theft zips or locks. These extras should definitely not be overlooked. The waterproof or water-resistant feature is certainly one feature that sometimes gets passed on by people wanting to buy a pack. People will often think you only need it if you are going hiking, but what if you get caught in the rain? A waterproof bag will be a good idea then. Another great feature of some bags if the ability to pack them into a smaller size. There are some bags that come with their own mini travel bag, as you can roll the bigger bag up and store it. Ideal if you are trying to save on weight or space. Anti-theft locks or zips are a great extra if you are going to be traveling with expensive gear, or you are going to be traveling in unsafe areas. You can’t keep your pack in view at all times, especially when it’s in your bag, anti-theft features can definitely save the hassle caused by having something stolen. 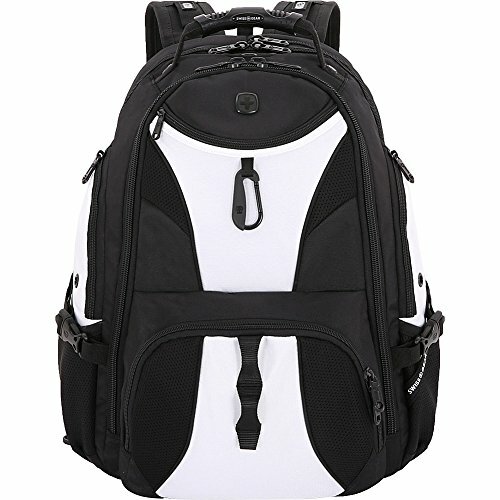 Depending on what you are going to need the backpack for, will decide which aspects of the backpack are the most important to you. If you need the pack to double as a hiking bag, a carry-on, a bag for work or a lightweight pack you can carry anywhere, there are aspects to look out for. If you need your travel backpack to double as a hiking bag, you are going to need a pack that is much stronger and much more durable. It will also need to be big enough to carry whatever gear you are going to need for your hike. Hiking packs are generally made from much stronger and heavy-duty materials. This makes them stronger and longer lasting, but also makes them a bit heavier. Weight is important to keep in mind. If you need your travel backpack to double as a pack for work, there are different aspects that are necessary, almost vital. You need a pack that will keep expensive and precious gear safe and secure. 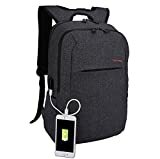 You will need a pack that has a padded interior compartment that you can store your laptop or tablet in, keeps it protected, while carrying other gear in the bag, whether it be books, files, or anything that can cause damage. If you are a frequent traveler, constantly in and out of airports, you need a pack that will suit your needs. A backpack that is great for airplane travel needs to have a large storage capacity, secure zips, and locks, but also lightweight. The ideal carry-on will give you enough storage space to take everything you will need for a business day out. It will also be lightweight enough to allow you to easily transport it and store it in the overhead bin. 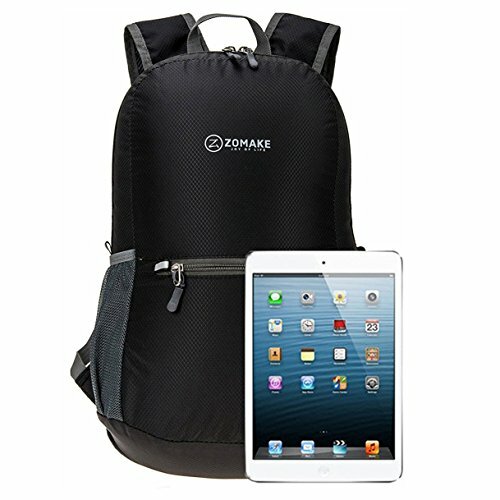 If you need a travel backpack that can also be used as a simple day bag when on holiday, you will need a pack that is lightweight, theft proof, as well as easy to pack and unpacks quickly. The backpack will be simple to pack and be big enough to store essential gear. Having anti-theft zippers and locks is also essential as the pack will be on your back for most of the day, and you can’t keep your eye on it the entire time. A well-made and versatile backpack is completely necessary when traveling. Whether you are going on a hike, traveling through the city, or taking a business trip, you need a reliable pack to keep your gear safe. We hope this list has helped give you all the information you need to find your next perfect pack, and we are sure you’ve have found the right one on this list.